Probiotic researchers have been suggesting for years that these healthy bacteria could be used as an effective natural treatment for osteoporosis, and new research is finding that probiotics can, indeed, help build stronger bones. Probiotics have the potential not only to increase your bone density as a natural treatment for osteoporosis, but also to improve your general health, protect you from infections, decrease allergies, ameliorate digestive disturbances, and treat many types of inflammatory conditions. If you have osteoporosis or osteopenia and want to use natural medicine to keep your bones as strong and healthy as possible, consider using probiotics as a key component of your natural treatment for osteoporosis. While experts who study these healthy bacteria have been suggesting for years now that probiotics can be used to treat osteoporosis, only recently have preliminary research results showed that probiotics can be a helpful natural treatment for osteoporosis. In one of the latest studies linking probiotics to strong and healthy bones, researchers at Michigan State University found that a natural probiotic supplement increased bone formation and bone strength in male mice. Although they’re still not sure exactly how probiotics work to improve bone health, the researchers reported in the Journal of Cellular Physiology that they believe the mechanism is related to way probiotics greatly reduce inflammation in the gut. Researchers Wonder, Could Probiotics Be an Alternative to Conventional Osteoporosis Drugs? The Michigan researchers have been studying probiotics in their hope to find a natural treatment for osteoporosis as an alternative to conventional pharmaceuticals, which can disrupt the natural remodeling of bone tissue over the long term and can cause negative side effects like unusual bone fractures and joint and muscle pain. They knew that osteoporosis can result from intestinal inflammation and that probiotics can have anti-inflammatory effects. They therefore examined whether treating healthy male mice with a probiotic with known anti-inflammatory activity could enhance bone density. The mice were given a natural probiotic supplement containing a specific strain of Lactobacillus reuteri. This strain of lactobacillus has previously been shown to lower levels of the inflammatory marker TNF-alpha in the intestines. 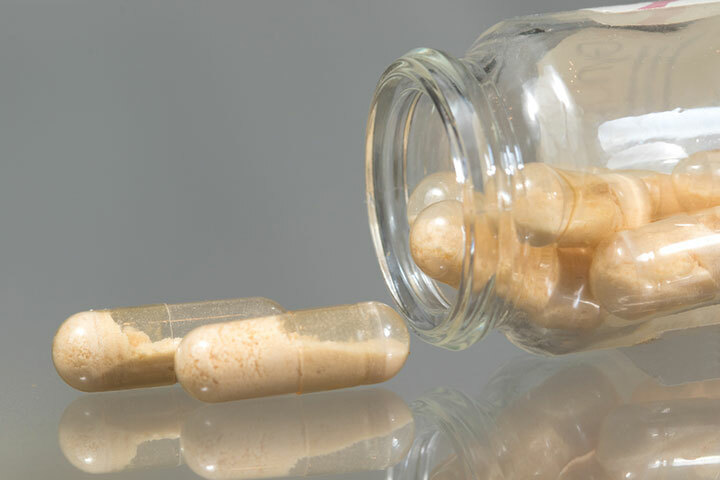 After four weeks of oral supplementation, the probiotic significantly lowered inflammation in the intestinal tracts in the male mice, as expected. It also significantly improved bone health; bone mineral density increased, new bone formed, and bones became thicker in both the spine and the femur. Markers of bone formation, such as the number of bone-building cells known as osteoblasts, also increased. Surprisingly, the same results were not observed in female mice. There was no increase in bone density when the researchers repeated the experiment with female mice, an anomaly they are currently investigating. Whether a different dose of the lactobacillus reuteri or a different probiotic strain altogether would be effective in female mice is yet to be determined. To effectively use a natural medicine plan for treating or preventing osteoporosis you will need to use several key therapies simultaneously and over a long period of time. These include the increased use of magnesium, Vitamin D, strontium, weight bearing exercise and other key components such as a probiotic discussed here. J Cell Physiol. 2013 Aug;228(8):1793-8.
allergies, anti inflammatory, bacteria, best probiotic, best probiotic supplements, bone, bone building, bone density, bone health, bone loss, bone mineral density, bone strength, common cold, digestion, digestive, eczema, exercise, for osteoporosis, health, healthy bones, inflammation, integrative, integrative health, joint and muscle pain, magnesium, medical conditions, muscle, muscle pain, natural medicine, natural treatment, natural treatment for, natural treatment for osteoporosis, osteopenia, osteoporosis, osteoporosis drugs, osteoporosis symptoms, pain, probiotic supplements, probiotics, reduce inflammation, side effects, stomach problems, strength, supplement, supplements, treat osteoporosis, treatment for osteoporosis, vitamin, vitamin d, your bones.